MoTs for diesel cars will now include a mandatory diesel particulate filter (DPF) check, with an automatic failure for any car found to be missing its standard filter. 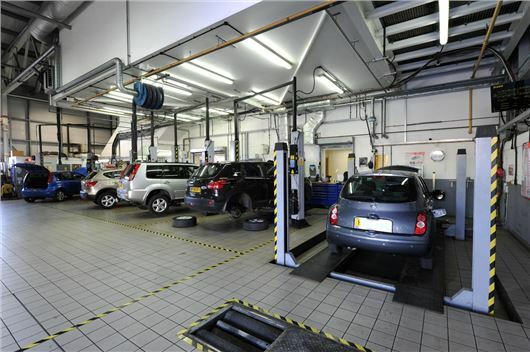 Announced by the Department for Transport, the MoT rule change will come into force from February 2014 and require all garages and testing stations to check for a DPF in the inspection of the exhaust system. The DPF works by absorbing particulate emissions created during the start-up phase of an engine from cold; these absorbed particulates are then superheated and burned off during the regeneration cycle of the DPF. However, some motorists have complained that the filter impairs fuel economy and can result in costly repairs should it get clogged up. One particular cause for DPF failure is repeated short journeys from cold, which prevents the regeneration cycle and ruins the filter. The cost of a new DPF can be anything from £1000 to £3500 and in some cases exceeds the value of the car. This has resulted in some motorists removing the filters. Tests for diesel cars will now be tightened up to ensure vehicles have a critical exhaust filter if one had originally been fitted as standard. Surely it will just be a visual check they do?? How else would they test for it in the MOT centre? Unless there are any obvious signs of DPF removal e.g. cutting marks or evidence of welding, surely the MoT would need an x-ray machine to see if the filter is present. The filters can be knocked out, negating the need for cutting or welding, or removal can be made out of sight e.g. from the top or any tampering can be obscured by a car's under tray. I can't see the MoT tester having the time to check properly that a filter is in place or not if removal has been done discreetly. Hmmm... So if you have a 2006 model Euro IV vehicle, which did not legally require a DPF at time of launch, but which did had one fitted, is it still 'technically' illegal to have it removed? And if so, how will MOT testers know if it was fitted as standard when new, as many Euro IV did not have dpfs fitted during 2006 model year?